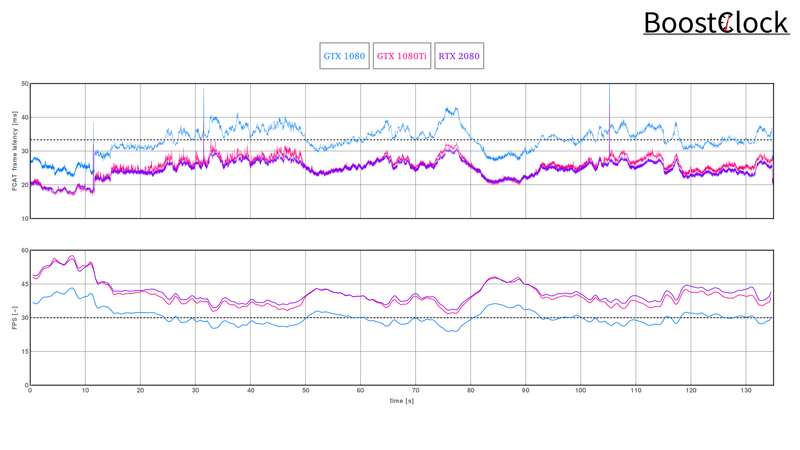 NVIDIA have packed many forward looking features and hardware stages into their new RTX branded GPUs, but many of these new advancements and techniques are not used in traditional raster workloads. It's a huge shift as a large portion of the die area is now devoted for non-raster work (Tensor & RT Cores). 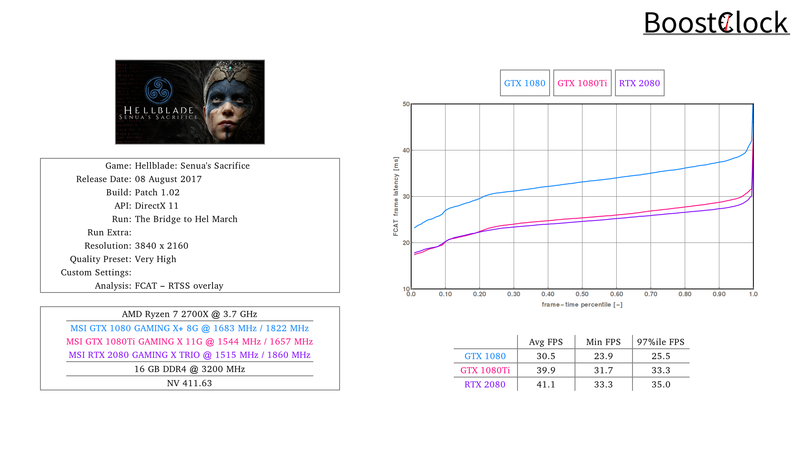 To find out how the new RTX 2080 GPU fair against the top-end Pascal chips in gaming, we picked a gorgeous looking cut-scene sequence of Hellblade: Senua's Sacrifice in 4K and very high preset. 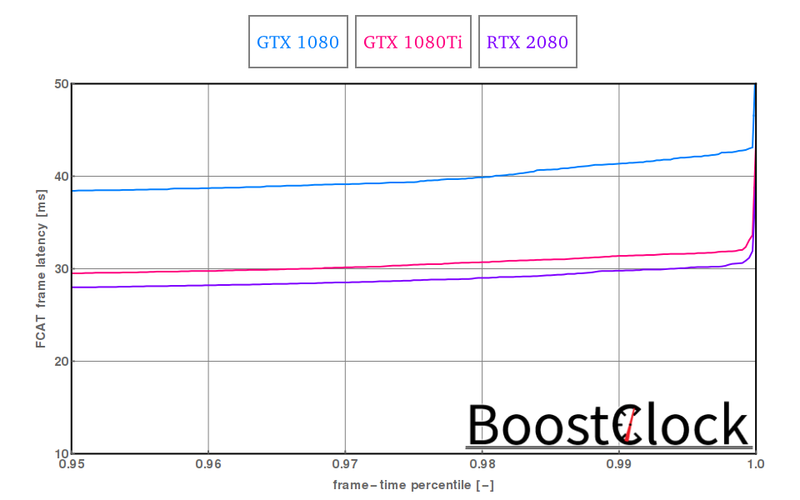 The RTX 2080 is a fraction faster than the GTX 1080 Ti in Ninja Theory's unique psycho-adventure game.